Let’s take an activity you are doing on a weekly basis, add a little spice, and turn it into a Real Estate Content Marketing Strategy that will generate leads for your real estate bizz. We have been preaching and I am sure that you have heard that if you just blog once in a while you will get internet leads. Well this is somewhat true. There are a couple things that get in the way of this claim. A friend of mine was talking about this SEO that her small business is working with and told me that the SEO asked them to start blogging. Later in the week, she was talking to me about her assistant that was complaining about writing those stupid blog posts no one is reading. If you build it they will come? Well this is partly true. If you build it well with a strategy they will come. **It is true that we build IDX Websites… but this post is not intended to get you to buy IDX. However, this strategy will only work if you have an IDX Website. The focus of this blog post is to convince you that you are a problem and that blogging will work and that if you use a proven strategy Google will reward you. Keep in mind this is just one strategy. You may also want to look at using Infographics to create content. It is the discipline of creating content on a regular basis to attract people to your website, landing pages, social media pages, email newsletter, etc. Content in this case is a blog post that is created using text (a story), video, images, audio, or the combination of. Marketing is the act of getting that content distributed to Search Engines, Social Media Platforms, Book Marking Sites, Email Newsletters, and other Websites. 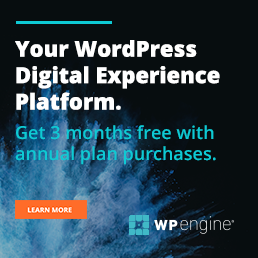 If you have a WordPress Real Estate Website with IDX then this is a strategy you could use on a weekly basis to Generate Leads. >> FIRST — Every week you go around and view listings. If you do not do this, you need to start. If you are going to be a successful real estate agent you should know your inventory. >> SECOND — Once you get back to the office or back home, create a blog post about that listing. It is important that you use Real Estate Terms that are Micro Focused or Hyper Local Focused. The chances of your site being ranked on the search engines for the search phrase: “Seattle Real Estate” or “Chicago Real Estate” are NOT Good. Then write an 800 word post about the listing and what it is that you love about it. If you do this every week for 6 months you will have created 24 blog posts that will show you as an EXPERT Real Estate Agent. If I came to your blog and saw post after post of high quality posts about local real estate that was written in a way that showed you really knew what you were talking about… I would be impressed! If you are interested in some Growth Hacking marketing tactics that will drive some serious traffic… read these. 120 Ways To Promote a Blog… Better! The combination of having an IDX website and consistently administering this easy real estate content marketing strategy will get your website recognized by Google and Bing. Meaning that your site will start to rank and people that are searching for real estate will stumble upon your High Quality stories about awesome listings. If someone comes across one of these blog posts they are going to instantly see you as an Authority in your Industry. One of the 5 goals of a real estate website. Then they click on the link to view the listing on the MLS (the link that is connected still to your IDX Website) they might not be interested in that particular listing, but now you have them thinking. They might just start searching for listings on your website and may just find one they want to look at. I can not tell you how many times I have heard someone tell me that they posted a real estate story on their Facebook Profile and one of the friends commented something like, “Hey I did not know you were a real estate agent… I am looking to sell my house”. As you can see after she made that post (and I know her and I doubt she had any intentions of posting the images to get new leads) 5 of her friends reached out about getting an appointment for a massage. Suit up and get to the Gym? Nope suit up and get to a handful of listings… every week! Find a listing that you love. Write a blog post about why you love that listing. Put a link from your IDX Website in the post. Market your “Home of the Week” to your social media accounts. Jason, love – love this post! It really explains to realtors why they need a blog and how they can link to the IDX website. So many just want an IDX site but don’t understand the implications of it, the SEO, mobile ready, etc. I really like how you explained content marketing for them in this one too. I’ll be sharing!